I love reading, writing, painting, yoga, walking in the woods, and spending time at the beach. Family and friends are #1 and life is fantastic. My first career as a mental health practitioner has been a dream come true, but I am loving my new ventures as a new author and visual artist. Sharing my love and appreciation of working with our chakras is a true blessing. Peace! Teresa McCallum is an author, a mental health practitioner and a visual artist. 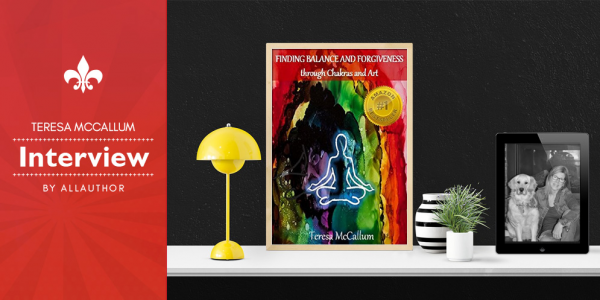 Inspired by the Chakra System, Teresa wrote her first book, "Finding Balance and Forgiveness through Chakras and Arts". 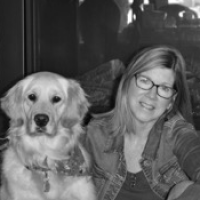 Apart from her passion for writing novels, Teresa loves painting, walking, writing, traveling, and visiting with friends and family.